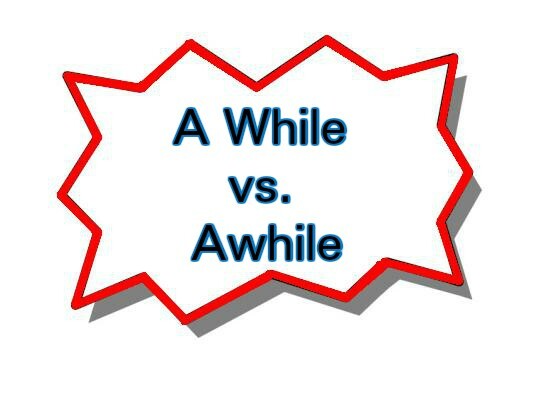 Home › English › A While vs. Awhile – Which To Use? The English language is already hard enough for those that try to write, speak and spell it correctly all the time. With various grammar rules to think about, there are many of them which cause confusion. Within these rules, there are words that also cause us to think twice about which one is the correct one. In the English language, there are numerous words which sound or are pronounced the same. Others, are spelled identically too. These are the types of words which can cause problems and confusion for many out there. Such is the case between a while vs. awhile. When it comes to both of these words, people often wonder which one to use and when? Although both awhile and a while are used in terms of expressing time, there are some differences between the two. For one, a while contains a space in between the both the words awhile. 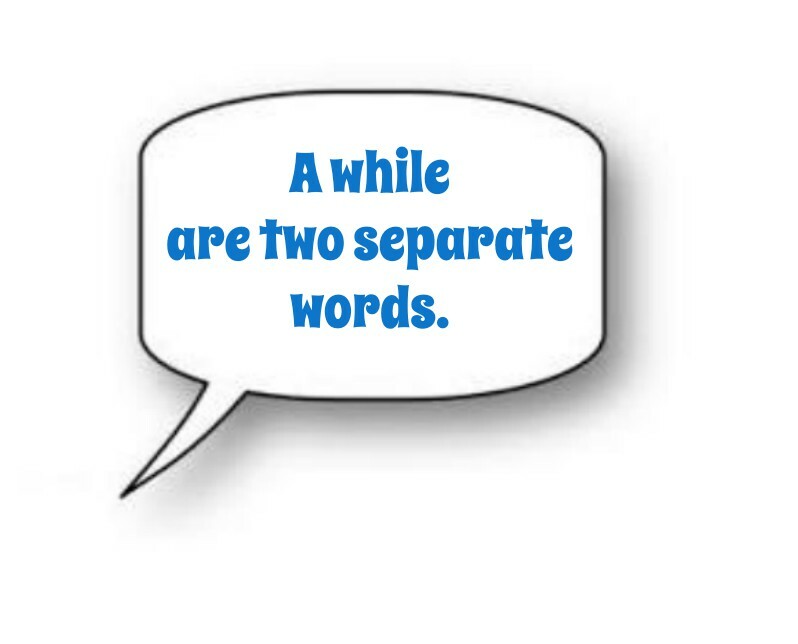 Secondly, although both of them represent terms of expressions of time, they symbolize different parts of speech. To most people who use either of awhile or a while, they both appear to be the same. However, when we examine them properly, you can see that they are somewhat different and should be treated as such. 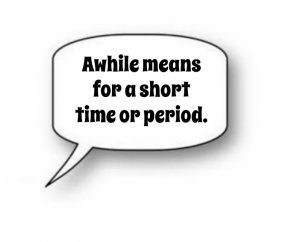 First, awhile is an adverb that means ‘for a while’ or a ‘short period of time.’ It will only work as an adverb and in most cases, you could replace it with another adverb. Keep in mind that adverbs modify other verbs, adjectives and of course, adverbs. Believe it or not, I refused to ask her again awhile back. Although the bill passed, congress delayed voting on the bill awhile. Hector said he would be home in a while. 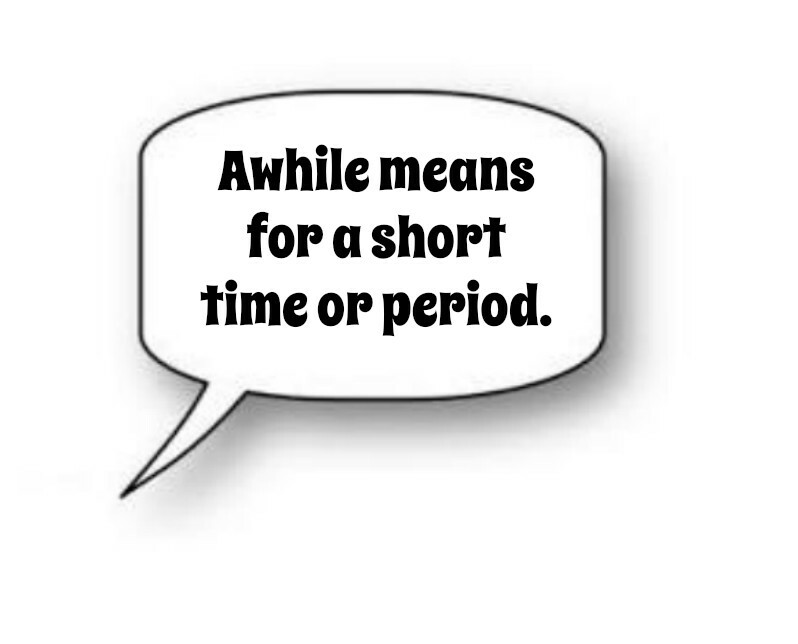 If we take the word ‘a while’ and change it to ‘awhile’ in the same sentence, you would have to drop the ‘in’ out of it. If not, then the sentence would not make sense. It has been a while since she told me that she misses me. Angela mentioned that she had not eaten sushi in a while. Take a while longer if you need more time. 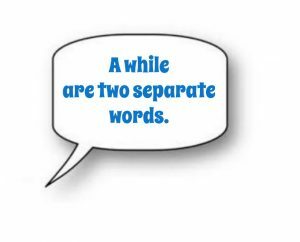 There are certain cases where you can use either of the two words in a sentence and they would both be correct. It’s because of instances like those which ends up making these two words a problem for some. Still, there are not too many of those cases. Even though you can use them in certain cases, they cannot be used interchangeably all the time. Awhile later, the kids stopped paying attention. A while later, the kids stopped paying attention. Can we please rest for a while? Can we please rest for awhile? Now even though in these cases you can use either one to make your point, there are other instances where either one will not work. Only one or the other. In summation, the best way to remember when to properly use either of them is that awhile is an adverb and a single word. On the other hand, a while, are two different words and a noun phrase.